Background. 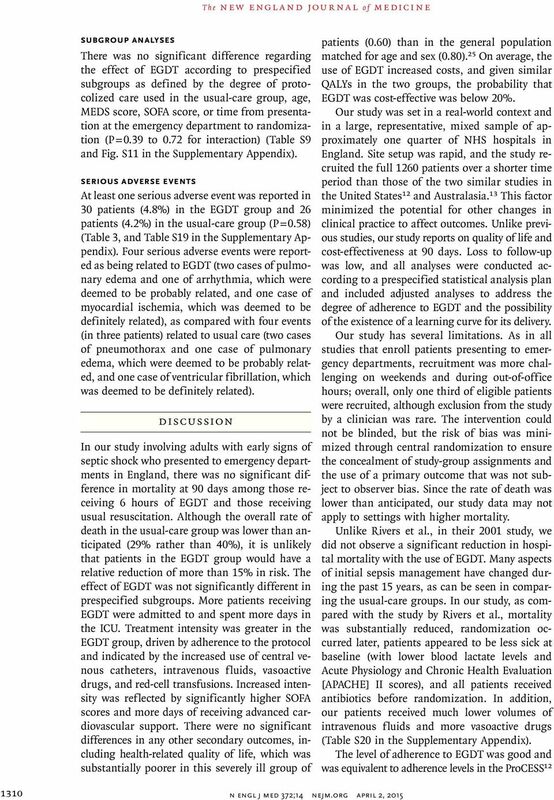 The aim of this study was to explore whether early goal-directed therapy (EGDT) was associated with a lower mortality rate in comparison to usual care in patients with severe sepsis and septic shock.... Purpose. To describe and compare the design of three independent but collaborating multicenter trials of early goal-directed resuscitation for severe sepsis and septic shock. This page was last edited on 9 November 2018, at 01:06. All structured data from the main, property and lexeme namespaces is available under the Creative Commons CC0 License; text in the other namespaces is available under the Creative Commons Attribution-ShareAlike License; �... 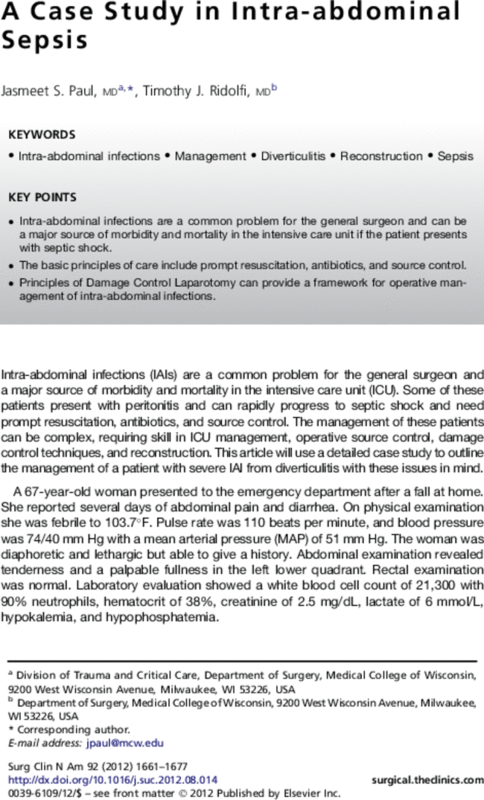 CONCLUSIONS In patients with septic shock who were identified early and received intravenous antibiotics and adequate fluid resuscitation, hemodynamic management according to a strict EGDT protocol did not lead to an improvement in outcome. 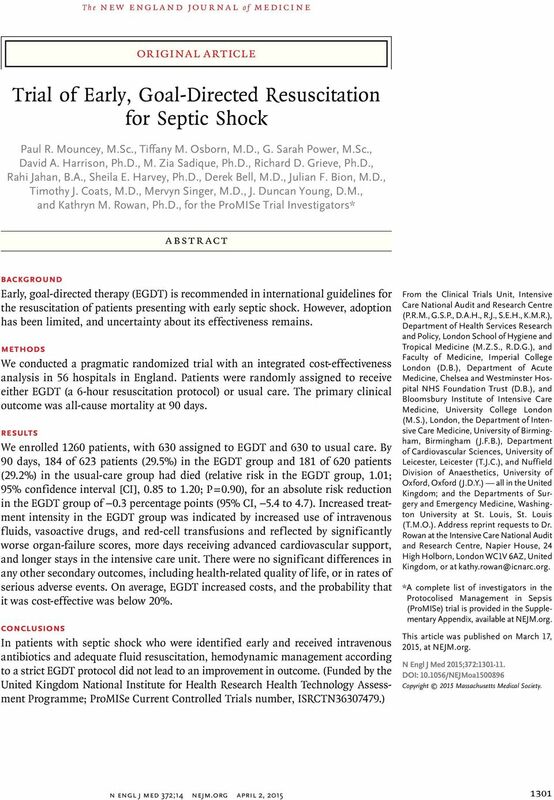 The meta-analysis of early goal-directed therapy (EGDT) by Gu and colleagues in the previous issue of Critical Care adds to the ongoing controversy about the value of EGDT for resuscitating patients with severe sepsis and septic shock.